"It is with great disappointment that we must announce that due to the ongoing 2018–19 United States federal government shutdown, we were unable to obtain visas for our Japanese talent who were looking forward to seeing our US fans at the New Beginning in USA," NJPW wrote. The tour will begin at the Globe Theatre in Los Angeles, California on January 30. There are also stops at the Grady Cole Center in Charlotte, North Carolina on February 1 and the War Memorial Auditorium in Nashville, Tennessee on February 2. The New Beginning USA shows feature a mix of non-Japanese members of the NJPW roster, Ring of Honor wrestlers, young lions from NJPW's California dojo, and a few independent wrestlers. The Great-O-Kharn (NJPW's Tomoyuki Oka) is flying in from England and is on the tour. 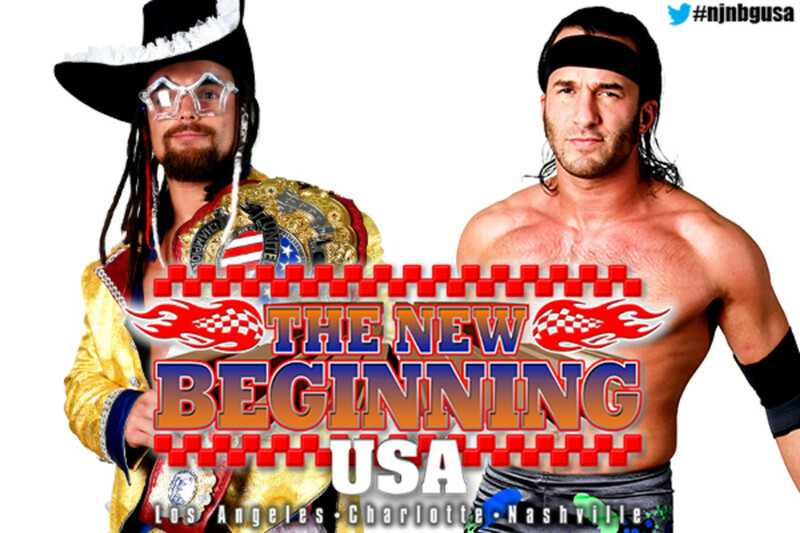 Before the issue with obtaining visas, New Beginning USA had been set to feature some Japanese wrestlers who aren't on the New Beginning tour in Japan. The LA show will be headlined by Beretta & Rocky Romero vs. Juice Robinson & Tracy Williams. Robinson will defend his IWGP United States Heavyweight Championship against Beretta in Charlotte, and Beretta, Romero & Chuckie T will face Robinson, Williams & David Finlay in an elimination tag match in Nashville. Marty Scurll & Brody King vs. Lance Archer & Davey Boy Smith Jr.